Mexico’s strategy of targeting top organized crime figures, or kingpins, for arrest and extradition has led to the spread of a new crime syndicate and driven up homicide numbers in many parts of the country, according to a new policy brief by the University of San Diego’s Justice in Mexico project. The report, titled “The New Generation: Mexico’s Emerging Organized Crime Threat,” focuses on the rise of the Cartel Jalisco Nueva Generación (New Generation Cartel Jalisco), commonly known as CJNG. The group’s recent and rapid expansion across Mexico has been accompanied by high levels of violence, the report states, with a countrywide record of 29,000 homicides in 2017. The rise of the CJNG also has come with the growing availability of methamphetamine in the United States and other major consumer markets, according to the report. And while methamphetamine is the primary source of income, the group has moved into heroin trafficking as well, it states. 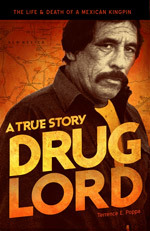 Authors Lucy La Rosa, a USD graduate student, and USD professor David Shirk, the Justice Project’s principal investigator, say that the Guadalajara-based CJNG has benefited from the weakening of the Sinaloa Cartel’s grip in regions across Mexico, including Tijuana and its ability to forge alliance with local drug organizations. “The CJNG has successfully taken advantage of a series of power vacuums resulting from the disruption of leadership structures in Mexican organized crime groups,” the report states.